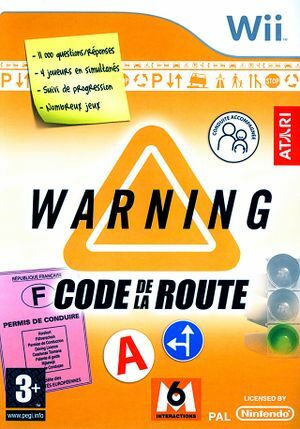 In Warning: Code De La Route you can test your road knowledge through a series of interactive questions and answers. In this way you can evaluate your current level and prepare yourself in the best way for the final exam. The graph below charts the compatibility with Warning: Code De La Route since Dolphin's 2.0 release, listing revisions only where a compatibility change occurred. This page was last edited on 16 February 2018, at 04:38.